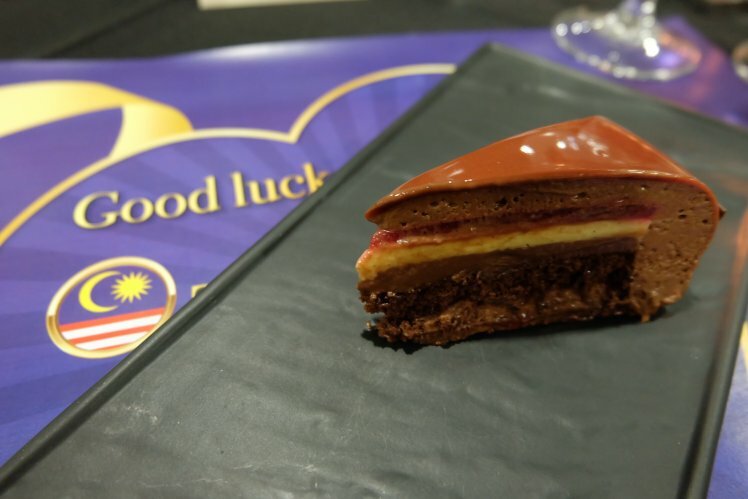 Update: Team Malaysia has won First Place at the Coupe du Monde de la Pâtisserie 2019! 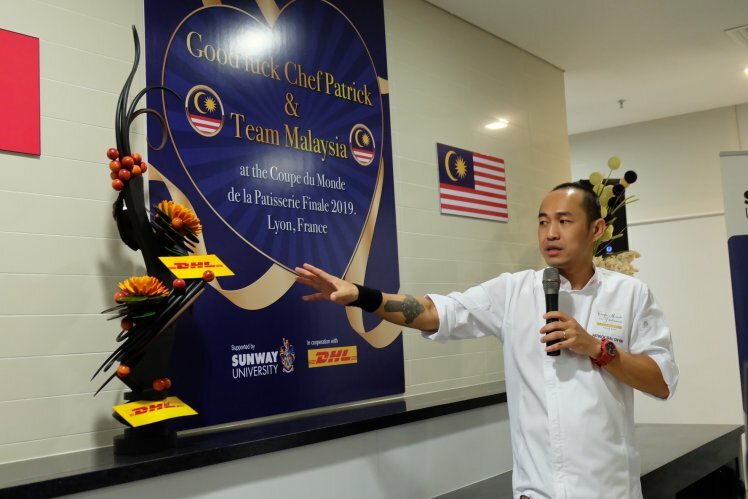 Sunway University’s School of Hospitality proudly hosted an exclusive dinner to celebrate Patrick Siau, Head Chef and Teaching Fellow who will be Coach for the Malaysia National Pastry team heading to Lyon, France for the Grand Finale of the Coupe du Monde de la Pâtisserie (World Pastry Cup). 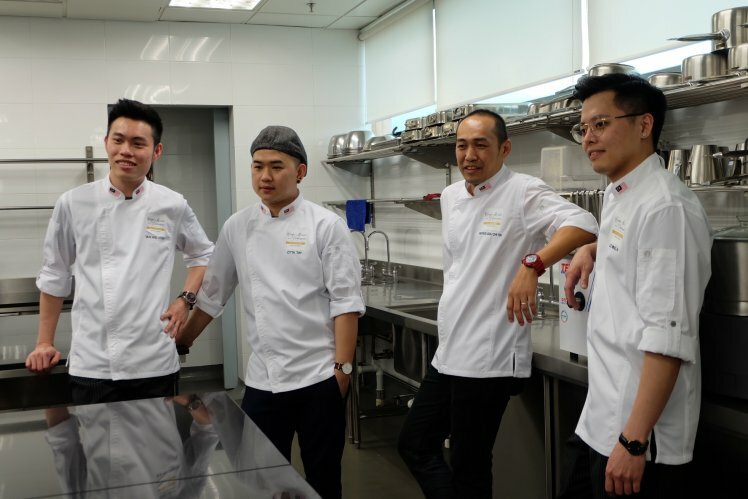 The team includes Chefs Tan Wei Loon, Otta Tay and Loi Ming Ai, who will be competing in the artistic categories of Sugar, Chocolate, and Ice, respectively among the best pastry and confectionery chefs in the world. Chefs Patrick, Tan and Otta has previously made national headlines when they won the qualifiers round, the 2018 Asian Pastry Cup (APC) in Singapore last year. In addition to the gold medal, the team also won ‘Best Display’ for their plated dessert, showcasing their creative talents and skill in the delicate art. 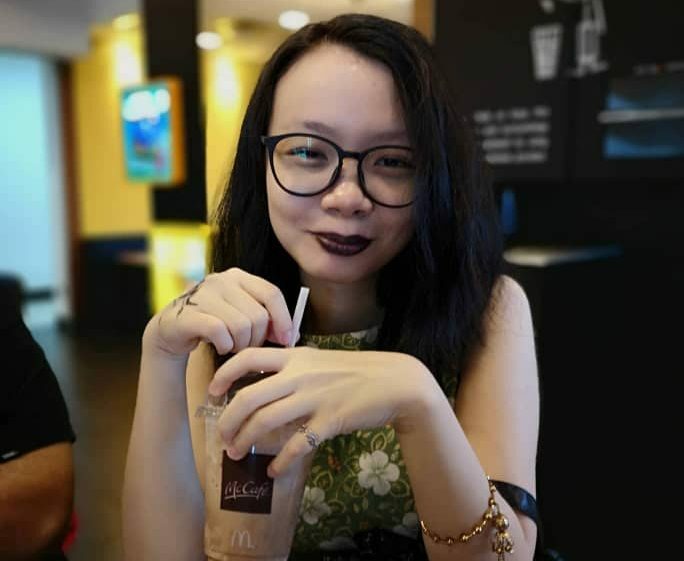 “I am proud to be representing Malaysia at the world stage once again. With strong will, passion and patience, I have always challenged myself to perfect the art of pastry production, ensuring that the end result is both innovative and exciting,” says Chef Patrick who has history with the competition. He has previously participated in APC’s 2010 edition, and in 2011 made the World Pastry Cup as team captain. Here’s hoping third time’s the charm! This year’s World Pastry Cup celebrates its 30th anniversary; and is based around the theme of nature’s flora and fauna. This year, a vegan challenge awaits the contestants – a first in the history of the Cup. No animal-origin product is to be used in the making of the desserts; and a chocolate challenge pertaining to raising awareness of the importance of bees will require chefs to conjure honey biscuits accompanying their dessert. The technical challenge this year is to create a transparent item of blown sugar (25-35 cm in size), honouring manual skill and technique. In total, the 10 hour-long competition will required the chefs to produce three chocolate desserts, three frozen fruit desserts, 15 identical plated desserts, and three artistic creations of sugar, chocolate, and ice respectively. Preparation for this year’s competition was a challenge in itself, as Chef Tan touched on the difficulties of everyone having different specialties, and more care had to be taken in practice and discussions. 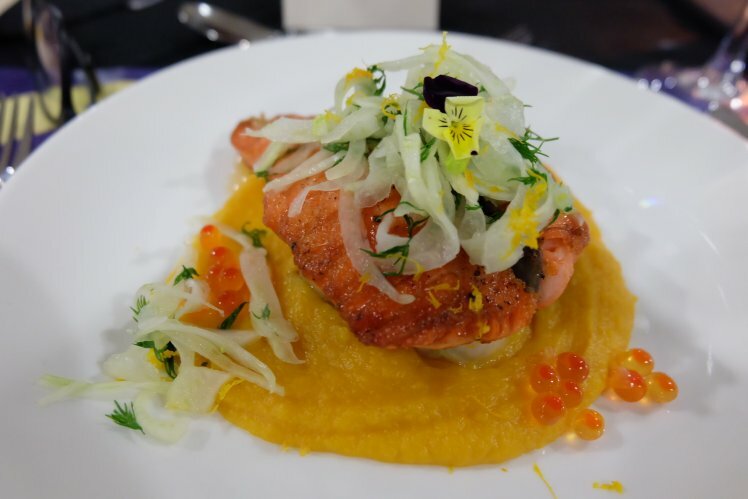 Chef Otta also faced obstacles with the set themes and challenges, as previous years had none. Chef Loi had his own struggle with gauging the rate of ice melting in different surroundings. Chef Patrick however, remained confident and even motivated at his teams efforts to be able to score top 3 in the competition. “We are very proud of Chef Patrick and his team. Having them competing at the finale is already a win for the country, and we here at Sunway University wish him and his team every success”, said Professor Marcus Stephenson, Dean of the School of Hospitality at Sunway University. 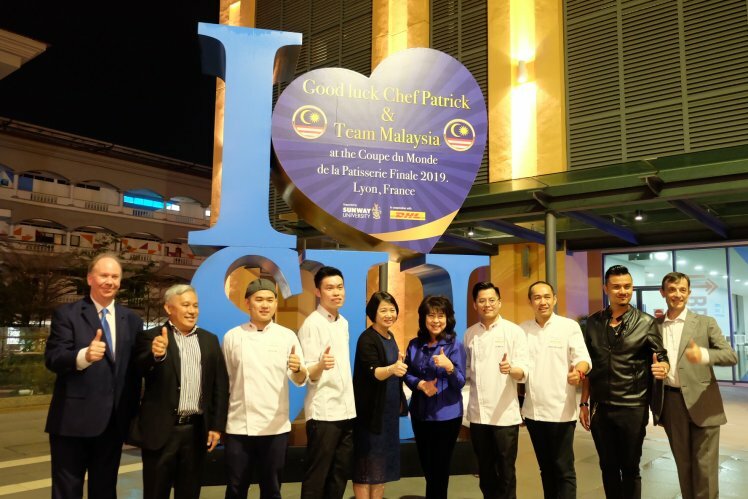 A special four-course dinner by Chef Patrick together with Sunway University Chefs Soon Pau Voon, Lee Han Ying, Chong Wei Tzeh, Yee Suet Rene and Nur Amirah was prepared for guests. The sumptuous meal included Yu Sheng with Smoked Duck, Double-Boiled Chicken Soup with Longan, Salmon with Butternut Squash and Baby Nai Pak. Guests were later treated to chocolate dessert prepared by Chef Patrick and the Malaysia National Pastry Team. Sunway University continuously strives to produce top-quality students in all academic areas, and this latest achievement by the faculty identifies them as on par with other world-renowned culinary schools across the globe. We wish Chef Patrick and team all the best for the finals and are so proud of them for all their achievements thus far!